3D visualization of the human cochlea in an intact temporal bone using synchrotron radiation phase contrast imaging. See Iyer et al. 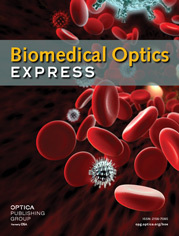 Biomedical Optics Express 9, 3757-3767 (2018).